From your Inbox.com Portal Homepage. From your Inbox.com Email/Storage/Organizer/Notes/Photos Settings. click on the "Portal Homepage" to go to the Inbox.com Portal Homepage. 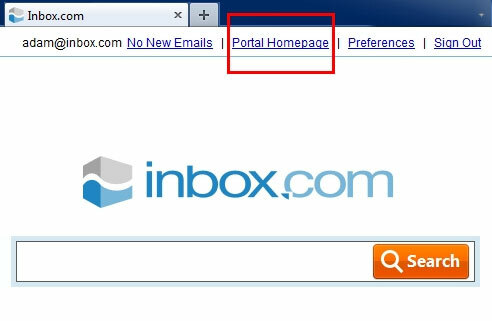 This will take you to the Inbox.com Portal Homepage. Click on the "Manage Your Account" link in the services box. Click on the "Account Settings" link in the My Account section of the left menu.